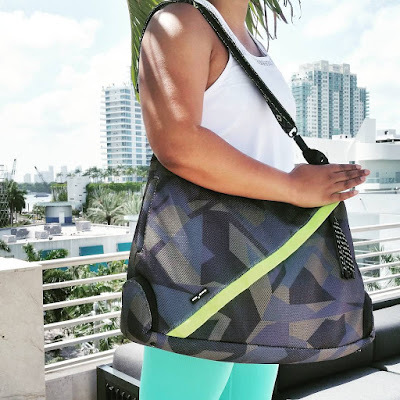 This weekend, I had the most epic fitness shopping experience of my life. The Boyfriend and I ventured over to Road Runner Sports in Rockville, Maryland. 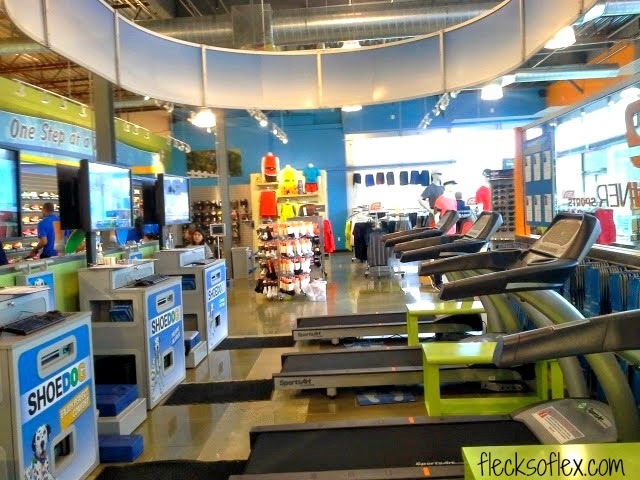 I'd done some research about the store before our trip, which is how I determined that this is where I wanted to purchase running shoes -- one of the many things I've been agonizing over for weeks. Let me start by saying that the Road Runner Sports shoe fitting experience was like nothing I'd been privy to before. 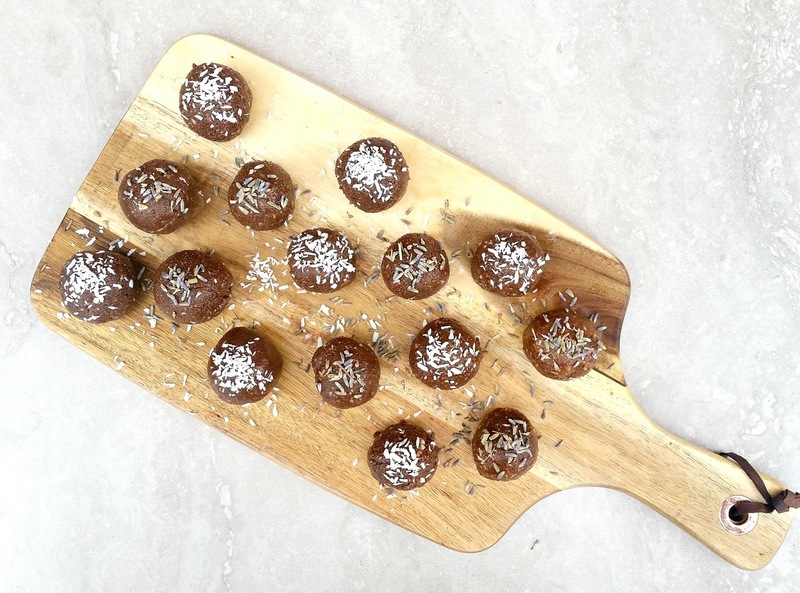 It was like I became indoctrinated into a new fitness society, and it was glorious. There were very few things about running shoes I knew before I entered the store. One of these things was that I needed to get fitted for my shoes. 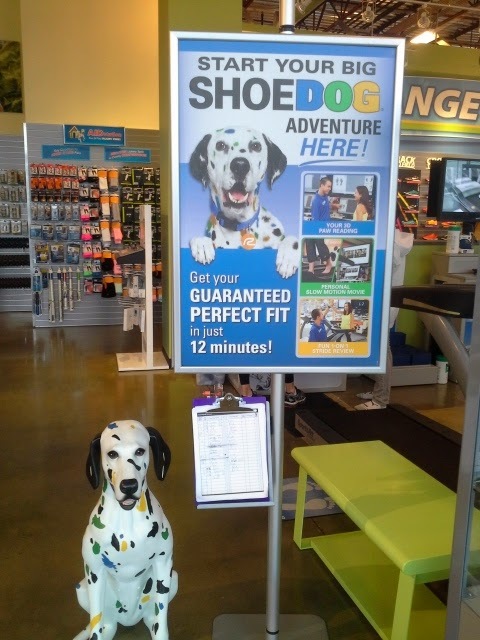 I walked up to their adorable Shoe Dog sign, and was greeted by the very enthusiastic Nick. I told him that I came to get fitted for running shoes, and that this was my first time in the store. He said that he would help fit me by taking me through a Shoe Dog fitting, and offered to grab one of his colleagues to help The Boyfriend get fitted. (Note: The Boyfriend was not interested in coming in the store in the first place. He said he was going to wait in the car, but I told him it was probably not going to be quick. So glad he decided to come in instead!) The Boyfriend agreed to get fitted as well. What a good sport! 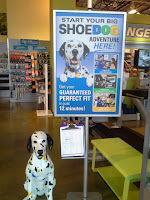 The Shoe Dog area in Road Runner Sports in Rockville, MD. After taking off my shoes and socks, and rolling up my pant leg several inches (totally unprepared for that), Nick had me stand on this mat to determine where I place my weight when I stand. It was called a "Paw Reading." Again, adorable. From there, he was able to determine what type of arch I have. Apparently, I have a a medium arch (leaning towards high), and I unevenly distribute my weight on my right foot. Oops. Next, he measured my foot to see which size shoe I might wear. I guess running shoes tend to run small, so he suggested that I would likely wear half a size larger than what I normally wear. Then, the exciting stuff happened. He had me get on the treadmill and jog for about 30 seconds. It felt super strange, as I've never run barefoot on a treadmill before. FREAKY! Anyway, after I finished, he showed me a video of my ankles and feet running on the treadmill. It was pretty cool, especially since I've never actually seen myself run. What we were able to see was that I have flexibility in my ankles, causing over-pronation. I basically already knew this, but it was cool to actually see it in action. From this information, Nick informed me that I would be testing out a stability shoe, though I could try a neutral shoe if I really wanted to. After he talked to me about this, he made a custom insole for me ON THE SPOT! It was so cool! (Though, I was a little weirded out about a stranger touching my feet, but that's just my own issue.) Nick then passed me along to another amazing person on staff, Tarrynn, who was my dedicated Shoe Fit Expert. 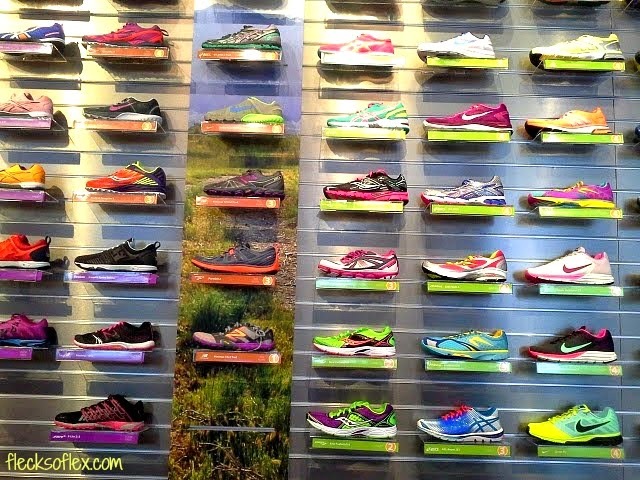 Part of the massive shoe wall at Road Runner Sports in Rockville, MD. Tarrynn showed me a number of options for shoes to test. The store seemed to be mostly Brooks, Nike, Asics, and Mizuno. I've never tried Brooks, and I've only tried Mizuno volleyball shoes, so I tried on each of those brands. 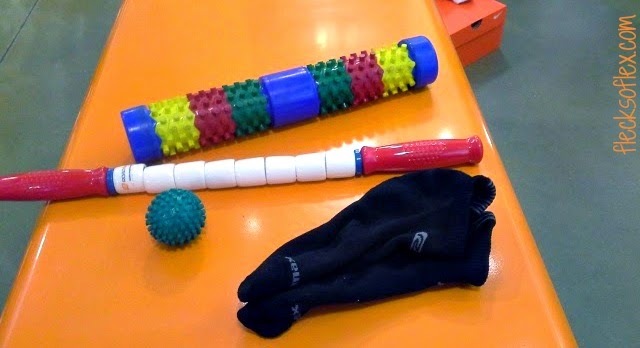 Tarrynn gave me some fun gadgets and socks to use/wear while I waited for her to return with my massive stack of shoes. The Boyfriend finished his Shoe Dog fitting around this time, and we got to test out different products together while we waited. They let us test out things like The Stick while we waited. Tarrynn quickly returned with the shoes, and I was excited. The first pair I tried out were the Nike Zoom Structure+ 17. They fit like they were made for my feet. The difference between a properly-fitting running shoe and what I have done for my entire life was absolutely astounding. At first, I thought that maybe it just felt so good because I had the custom insert in the shoe, but upon testing other shoes, realized this was not the case. They let you jog around the store or on the treadmill to see how they feel, which I'd definitely never done before. It was neat! The second pair I tried on were the Nike LunarGlide+ 5 shoes in what I can only describe as an ashy purple color (technically they're called lilac, but I prefer my name). Once one of the other sales associates trimmed my insoles so that they would fit the shoe, I put them on my feet and took them for a spin. I didn't care for the color, but these shoes also felt great! At first, I thought I was going to have an extremely difficult time deciding which shoes to get; unfortunately, all of the other shoes I tried on proved me wrong. I tried on a pair of Mizuno Wave Inspire 10s next. For some reason, to me at least, they had a design that was reminiscent of the Maryland flag. I put on the left shoe, and it felt really great. I put on the right shoe, and it was a completely different story. It seemed to sort of cut into my ankle, and it was really uncomfortable. I was disappoint, because I'm a huge Mizuno fan when it comes to volleyball. I guess Mizuno running shoes aren't my thang. Apparently, Brooks ain't my thang either. I tried on two pairs of Brooks, and they just did not even almost make the cut. The first pair was the Brooks Ravenna 5. Everything felt great in my ankles, heels, and the majority of my feet, really, until I got to the base of my toes. The toe box of the shoes felt extremely wide, and I felt like my foot was slipping around as a result. I tried on a pair of Brooks Adrenaline GTS 14s, and this was an even worse experience, and it bummed me out a little. I didn't realize the laces were aligned diagonally at first, or that the tongue of the shoe was cut strangely. This just really confused me and made the whole try on experience extremely awkward. On top of that, they really didn't feel like they were supporting my ankles, and that was even after Tarrynn adjusted the laces by lacing them up higher. The Nike Zoom Structure+ 17! What's funny is that The Boyfriend actually ended up with the same shoes (men's version, different colors)! We talked a significant amount of trash, but I still maintain that he's the copy cat since I tried mine on first! He did, however, coin a pretty apt nickname for Road Runner Sports: The Nordstrom of Running Shoes. Everyone was super enthusiastic and nice at the store, and they were so very helpful. It was a wonderful shopping experience. What more, it seemed like a great work environment. I'm even considering applying for a part-time gig there because I liked it so much! Oh, NO. I just realized we got pink and blue. How could I let this happen? Thanks to everyone who weighed in with shoe suggestions. I really appreciate it! 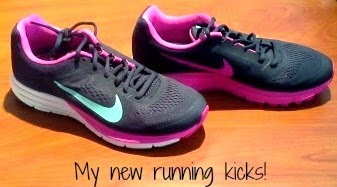 I cannot wait to take these shoes for a run this evening, and to show them off during the Run This Year April Challenge! By the way, the Rockville Road Runner Sports store is hosting a Girls' Night Out event on Thursday, April 3 from 6-8 p.m. I'm going to check it out, because it sounds like so much fun (plus, free champagne throughout the duration of the event). The flyer I received states that you could win up to $500 in free raffle prizes, and that you get 20% off on everything in the store during the event! Plus, free food. That's really all they had to say, let's be honest. A flyer that says "FREE FOOD" with the date, time, and location is really all you need to get people to turn out. If you're interested, make sure you RSVP at gnorockville.eventbrite.com. I hope to see you there! 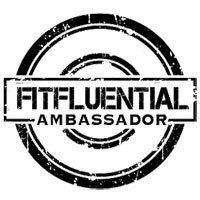 What is your favorite fitness store? 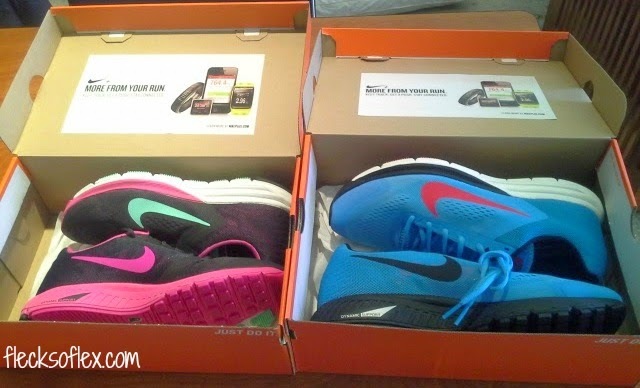 Have you ever done a running shoe fitting? Do you know what gait is? If not, beware when you land on the Wikipedia page you get when you Google it. It freaked my eyes out! That's pretty awesome, I didn't know running shoe fittings existed! How crazy expensive were those shoes? and how often do you have to get new ones? They weren't crazy expensive lol My cheap self? Please. It really depends on how often you use them. I suspect they'll last me a year. It sounds like you had an AWESOME experience! I wish we had a similar store in our area!!! You should check and see if any of your local running stores do shoe fittings. A lot do, apparently. This one just sounded the coolest, so I had to check it out! Lululemon is just so dang expensive! Their stuff is really pretty, though!